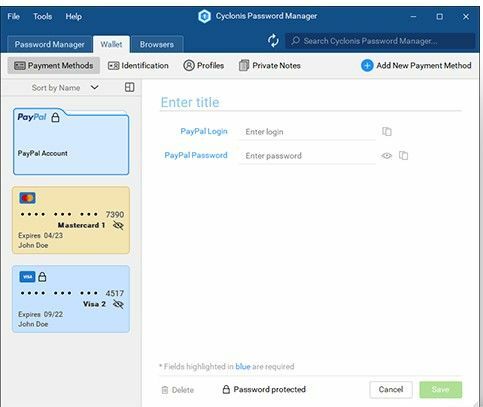 Cyclonis Password Manager stores and organizes your passwords and other sensitive data. 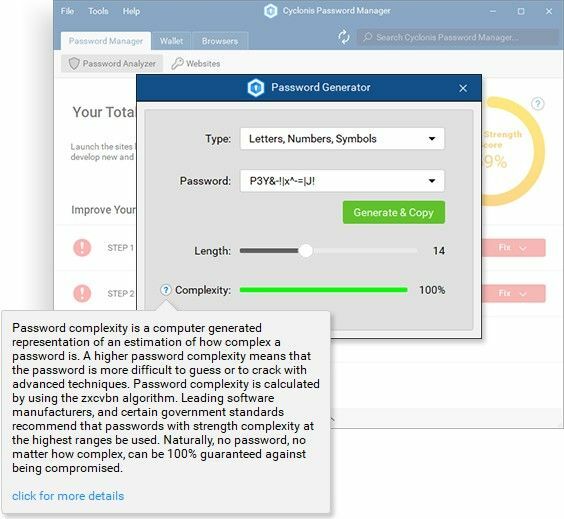 Password will be stored in your vault encrypted with the 256-bit Advanced Encryption Standard (AES). Browser plug-ins make it possible to login to websites automatically and fill out information forms quickly and easily. All of your passwords and sensitive data are stored behind a master password, which you must not forget!